Discussion pertaining to the past and present operations of the LAL, the WNYP, and the B&H. Official site: LALRR.COM. How friendly are the LA&L folks if I stop by and take some pics? I'd like to take pics of the units outside the enginehouse. I know I have to call ahead of time. PS: I didn't know #20 has been out of service. Everytime I stopped bye, 4 times, I first go to the office,sign a release, and your all set. They are very Railfan friendly, just abide by the rules, respect the trains, yard, and tracks,and your all set. Enjoy, I always do, one of my favorite shops. LA&L 20 is in the main shops awaiting the parts needed to put it back in service. is information on 319 or 424 I have not seen pictures of them, and is 321 start it rebuild? 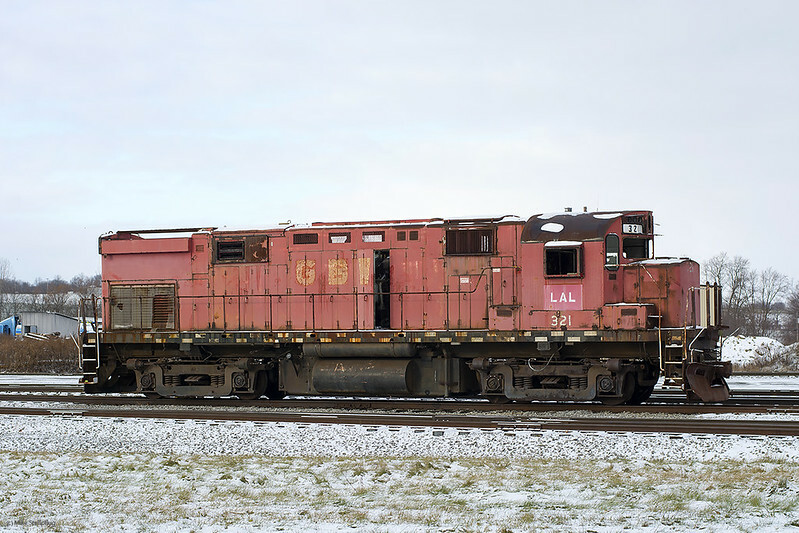 Heard rumor today that the two C636s in Cohocton are being scrapped as we speak and that two of the ex GBW C424s in Lakeville are next (sold to the same scrapper). Can anybody confirm? Just one more chance to ride again, on the Grand Adirondack Line." ^Damn. I'm sure all have been stripped of usable parts. I live an hour away from both places, but we are having lake effect snow this week. "At this time it is the 320 and 321 being scrapped. I was told that the 319 will get it later, so time is running out for it as well." In recent years the Morristown & Erie has always had a collection of locomotives on their property. This tired old SFEX C424 is just one of the many to spend time on their rails. It had spent nearly the last four years in storage along the M&E main in Cedar Knolls, NJ before being brought to the Morristown shops only a few days before. 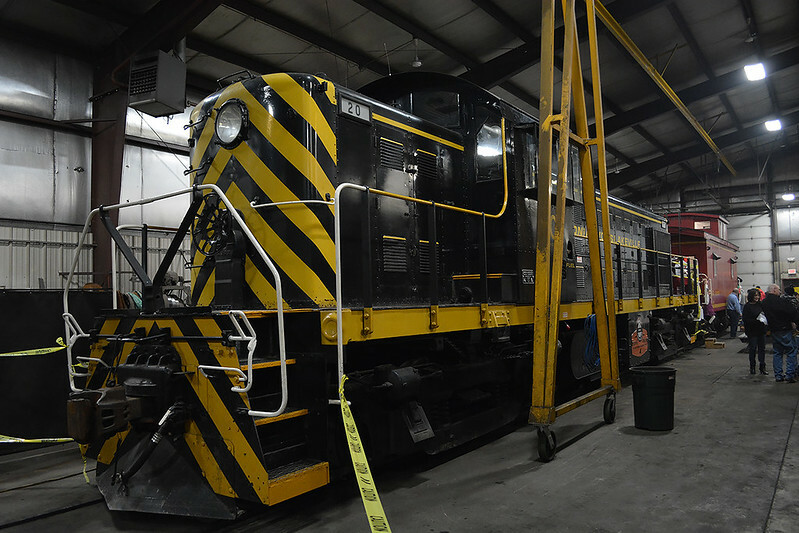 The locomotive is currently labeled for the New Brunswick East Coast Railway but is owned by RR Power Leasing LLC. 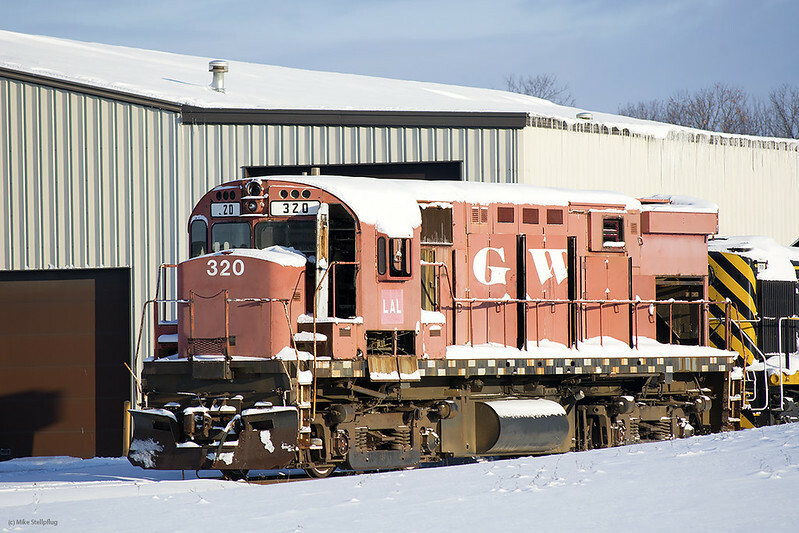 Once the Morristown & Erie shops put some life back into this old soldier it will make its way to the Western New York & Pennsylvania to join forces with their existing fleet of ALCOs. After spending sometime with the 765, Alco's awaited. Went out to Olean yesterday nothing running that I saw tanks lined up and down the Erie. At the shop ( Viewed from public property) was M636's 85 & 43 next in line on the next track was C430's 431 & 430 ( the one I wanted couldn't get ) M636 41 next track over and finally last track over in front of the engine house was M636's 637 & 638. There was something behind the engine house behind a passenger car but couldn't tell. I think RS3u 506 and C430 433 were in doors don't quote me on that though. It appears that Scott will need to update his LA&L/WNYP roster. The RRPX 85 is now the WNYP 685. Saw pics of it on T.O.'s. And 43 is now WNY&P 643. Railfan.net info. Mike Stellpflug wrote: It appears that Scott will need to update his LA&L/WNYP roster.